Silversea is adding even better wine and culinary experiences to its ships for 2018 and 2019. Ultra-luxury Silversea, one of the world’s top cruise lines, is serving up a new menu of 2018 and 2019 Enriched Voyages. Silversea announced that the voyages will feature “enhanced onboard enrichment with a culinary or wine theme,” including five sailings developed in partnership with the legendary Peninsula Hotels group. and varied Slovenia and Sicily. Exclusive voyages offering a culinary exploration of this enchanting continent enhanced by the insider knowledge of the prestigious Peninsula Hotels. Guest chefs from The Peninsula Hotels (I can attest to the outrageously good dim sum at The Peninsula Hong Kong) will share their expertise with guests, providing a truly immersive gastronomic and cultural experience of the Far East. —Silver Shadow departs April 14, 2018, on an 11-day ocean voyage from surprising and multicultural Singapore to Hong Kong with calls in Koh Samui, Bangkok, Ho Chi Minh City, and Chan May. Fares start at US$6,100 per guest. 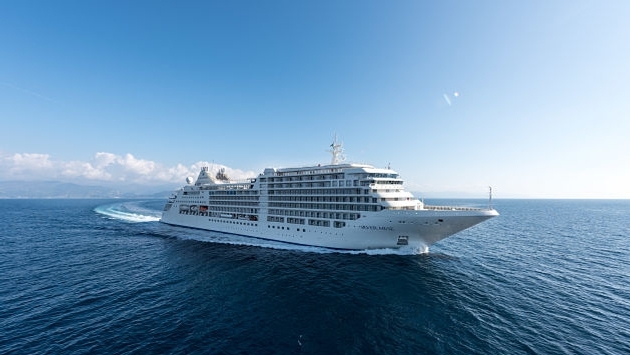 —Silver Shadow departs October 14, 2018, on a 15-day ocean voyage from Hong Kong to Tokyo (site of the 2020 Summer Olympics) with calls in Shanghai, Kagoshima, Hiroshima, Osaka and Nagoya. 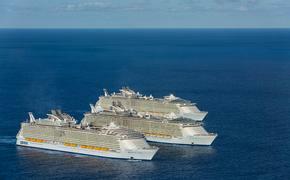 Early Booking Bonus fares start at US$7,470 per guest. —Silver Shadow departs October 29, 2018, on a 15-day ocean voyage from Tokyo to Hong Kong with calls in Osaka, Hiroshima, Tianjin (Beijing), and Shanghai. Early Booking Bonus fares start at US$7,020 per guest. —Silver Whisper departs March 2, 2019, on a 16-day segment of World Cruise 2019, an ocean voyage from Tokyo to Singapore with calls in Shanghai, Hong Kong, and Ho Chi Minh City. Early Booking Bonus fares start at US$8,550 per guest. —Silver Muse departs April 3, 2019 on a 13-day segment of Grand Voyage 2019 - Asia Pacific, an ocean voyage from Hong Kong to Tokyo with calls in Shanghai, Jeju, Hiroshima, and Osaka. Early Booking Bonus fares start at US$6,480 per guest. —Silver Muse departs February 16, 2018, on a 25-day, ocean and Amazon River voyage from Rio de Janeiro to Fort Lauderdale with calls in Salvador de Bahia, Natal, Fortaleza, Macapá, Santarém, Boca da Valeria, Manaus, Parintins, Alter do Chao, Barbados and San Juan. Fares start at US$8,900 per guest. —Silver Wind departs July 17, 2018, on a 15-day, roundtrip ocean voyage to Norway's North Cape from London (Tower Bridge) with calls in Haugesund, Flåm, ålesund, Brønnøysund, Leknes, Narvik, Honningsvåg, Hammerfest, Tromsø, åndalsnes, Molde, and Bergen. Early Booking Bonus fares start at US$11,610 per guest. —Silver Cloud departs October 26, 2018 on a 16-day, South America expedition voyage from Callao (Lima) to Punta Arenas with explorations of Paracas, Arica, Antofagasta, Isla Pan de Azúcar, Coquimbo, Niebla, Puerto Montt (a pretty town on a lovely lake with tremendous volcano views), Puerto Chacabuco, Tortel, English Narrows, Pío XI Glacier, Chilean Fjords, Alberto de Agostini National Park and Ainsworth Bay. Early Booking Bonus fares start at US$8,010 per guest. —Silver Wind departs July 20, 2019, on an 11-day, Northern Europe ocean voyage from London (Tower Bridge) to Reykjavik with calls in Saint-Malo, St. Mary's Isles of Scilly, Cobh, Dublin, Belfast, Oban, and Ullapool. Early Booking Bonus fares start at US$5,670 per guest. —Silver Spirit departs January 15, 2018, on an 18-day, Africa and Indian Ocean voyage from Cape Town to Mahé with calls in Port Elizabeth, East London, Durban, Richards Bay, Maputo, Nosy Be/Nosy Komba, Mamoudzou, Zanzibar, and Mombasa. Fares start at US$12,200 per guest. —Silver Whisper departs February 4, 2018, on a 16-day segment of World Cruise 2018, an ocean voyage from Auckland to Sydney with calls in Tauranga, Napier, Wellington, Picton, Akaroa (a very cool town on the South Island with French influences), Port Chalmers (Dunedin), Burnie, and Melbourne. Fares start at US$16,000 per guest. — Silver Whisper departs October 18, 2018, on a 13-day, transatlantic ocean voyage from Lisbon to Fort Lauderdale with calls in Casablanca and Funchal. Wine enrichment includes an introductory sommelier course. Early Booking Bonus fares start at US$5,310 per guest. —Silver Whisper departs May 19, 2019, on a 14-day, Northern Europe ocean voyage from London (Greenwich) to Barcelona with calls in Honfleur, Saint-Malo, Bordeaux (home to some of the world’s top wines), Bilbao, Lisbon, Cádiz, and Málaga. Early Booking Bonus fares start at US$5,850 per guest.